The Pyramid, a workout facility/healthy meal provider created by Centennial High School's virtual business class, placed fourth in the state at the National Business Plan Competition in New York. February was a tough month for the staff of The Pyramid. The CrossFit-affiliated workout facility and healthy meal provider’s sales topped off at $18,000 – well short of its monthly goal. After redirecting its focus on marketing, the Bakersfield-based business bounced back and made $80,000 in March. 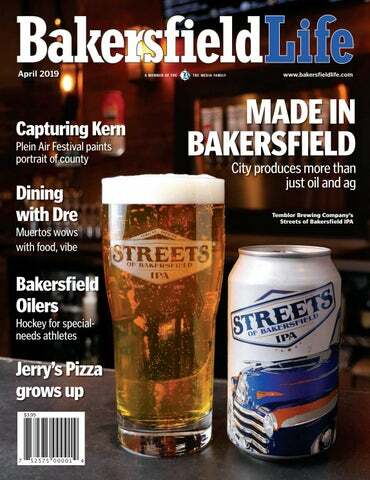 The spike in sales is the result of the hard work and long hours CEO William Marstall and his team devote to the company, which was founded after they saw an untapped market not only in Bakersfield but across the country. A gym that also sells healthy meals, The Pyramid is a one-stop shop for fitness and nutrition. The brainchild of Bobbi Beckner, Lulu Ruiz, Trey Terrio and Mackenzie Hadsell, The Pyramid allowed the Centennial High School seniors to punch their tickets to the 2017 Youth Business Summit in New York where they will compete against 27 schools from across the country in the National Business Plan Competition. The Pyramid may not be a real business – a product of Centennial’s virtual business class – but the experience students receive in its “operation” is applicable to the real world. The Kern County High School District was the first to implement the Virtual Enterprise International program in California in 1998. Currently, seven KCHSD schools participate in Virtual Enterprise – Centennial, Bakersfield High School, East, North, South, Ridgeview and Arvin – as well as Garces and Tehachapi high schools. Even though The Pyramid is fictional, many of its components are based on real local businesses. The class partnered with Carrie Wageman, owner of CrossFit OD, and Chelsey Hall, owner of Muscle Grub, allowing students to ask tough questions like cost of rent and profit margins to prepare them for the Q-and-A portion at competitions. The Pyramid qualified for nationals by placing fourth in the California. Bakersfield High School is also headed to New York, placing first in the state with a Burt’s Bees-like company called Bumble, which sells honey-based products and services. Though not all the students in the class are interested in business, the experience gained from the class easily applies to their intended careers. Beckner wants to work for Disney and is leaning toward PR because she’s The Pyramid’s director of public relations. Terrio, The Pyramid’s sales and product specialist, hopes to attend UC Santa Cruz to get a degree in cognitive science but says his backup plan is business marketing.